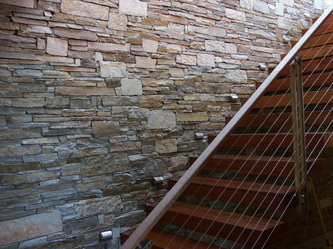 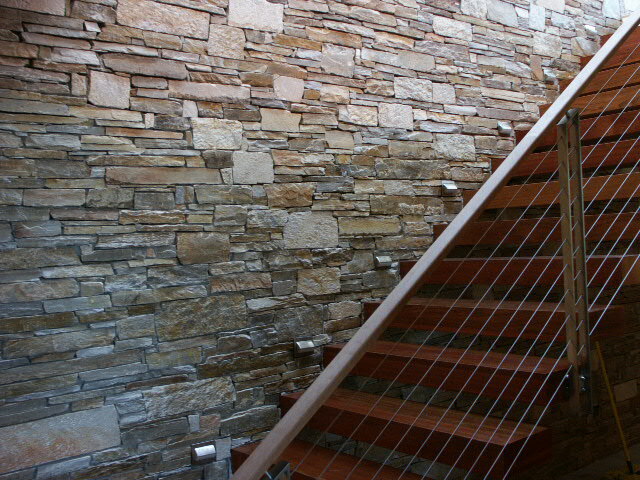 New construction of an amazing residential compound in Reno received the signature Livingston treatment. 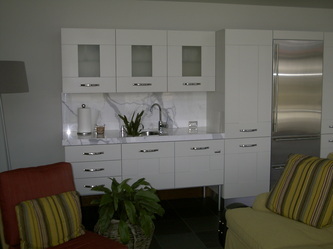 Steve created a single unit made up of cabinetry to function as the actual room divider between the stair and hallway and the kitchen area in this open plan home. 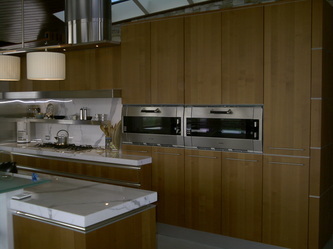 The main wall features fully integrated, separate refrigerator and freezer, and two side by side 36" wide Gaggenau ovens. 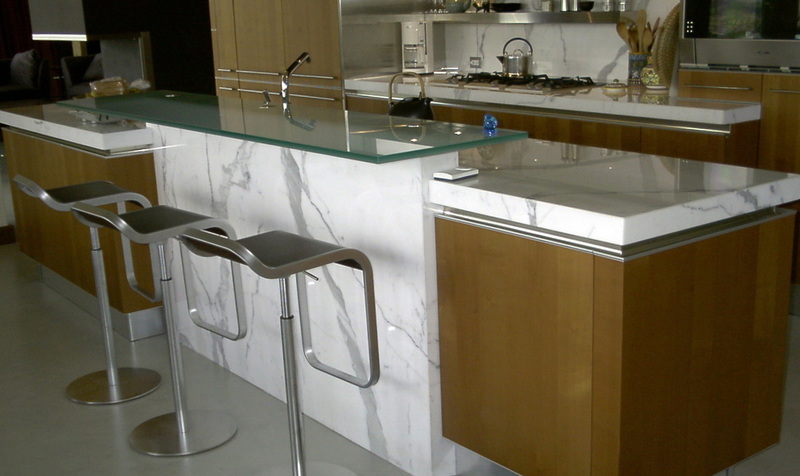 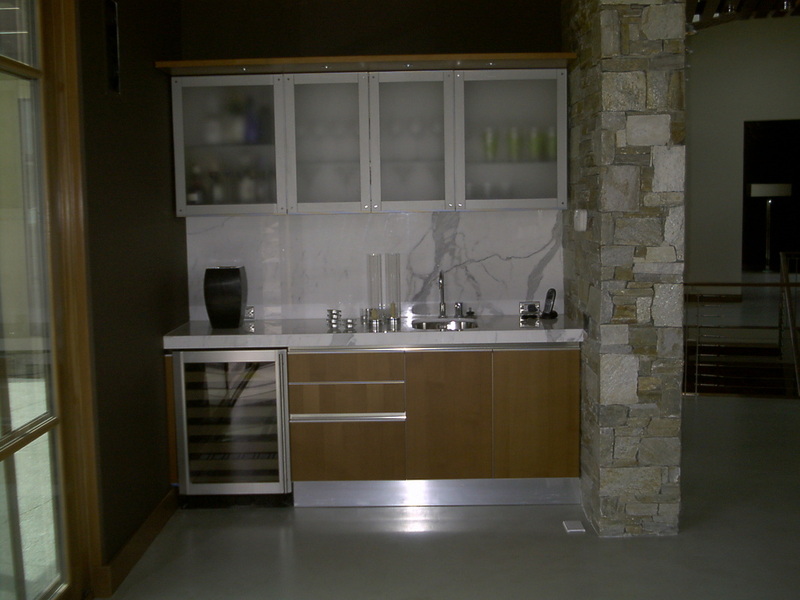 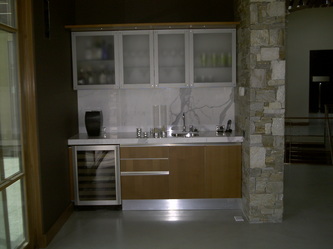 The island provides prep area, sink and clean up functions. 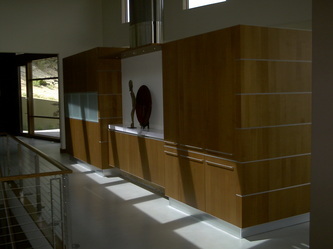 The project also included a bar in the living area which incorporates the same cherry cabinetry, and a complete kitchen in the pool house. As the hood needed to vent between the top of the wall "unit" and the ceiling, Steve designed a custom, perforated stainless steel cover to hide the utilitarian duct.